As always, I was just catching up with news online and came across this and just HAD TO share it. I have a thing for butterflies… God’s most beautiful creation in my eyes. 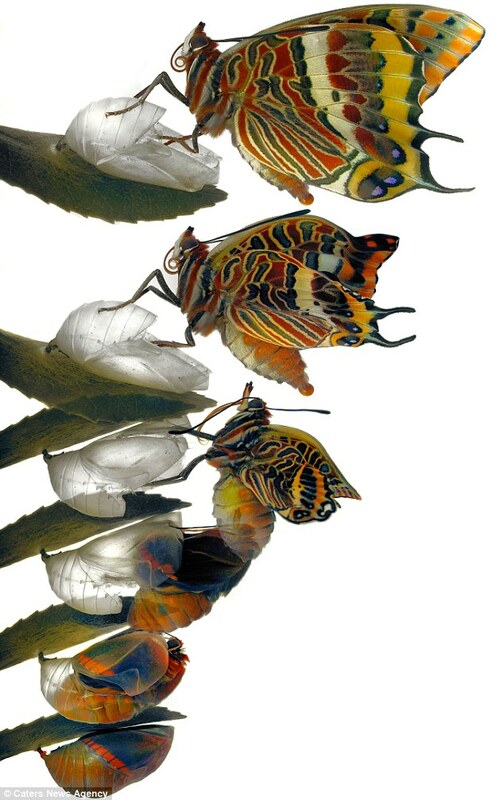 These amazing pictures document the birth of a butterfly as it tries to break free of its chrysalis. The breathtaking images were taken by snapper Jimmy Hoffman who took the shots in Girona, Spain. Wildlife enthusiast Jimmy, who is a professional artist, raised the Charaxes jasius or Foxy Emperor from a caterpillar and waited until they formed a chrysalis. Previous My brand of positivity! !